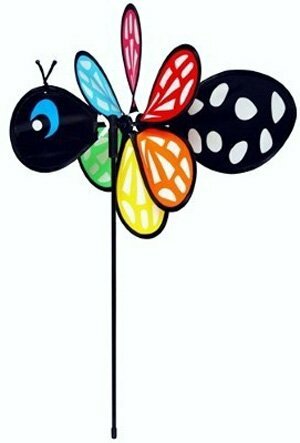 Butterfly Baby Bugs are the perfect size measuring 17 x 12 with a 17 inch pole. They will bring kinetic accent colors to gardens, flower pots and planters. Made with weather resistant polyester fabric. The Bugs unique markings have been printed. They are made with durable fiberglass forms and pole. They are oh so cute and easy to assemble.